There are a limited number of charity slots for this popular East London event where athletes have the opportunity to participate in a much sort after "Neon Orange" charity vest. Partner with Companies to raise funds for the many charities the "IRONMAN 4 the Kidz" initiative supports. ATHLETES who are interested in supporting the charity are requested to approach possible sponsors to assist with the cost of a charity slot. Athletes can approach more than one sponsor to cover the cost of a charity slot. The vest space will however be shared. 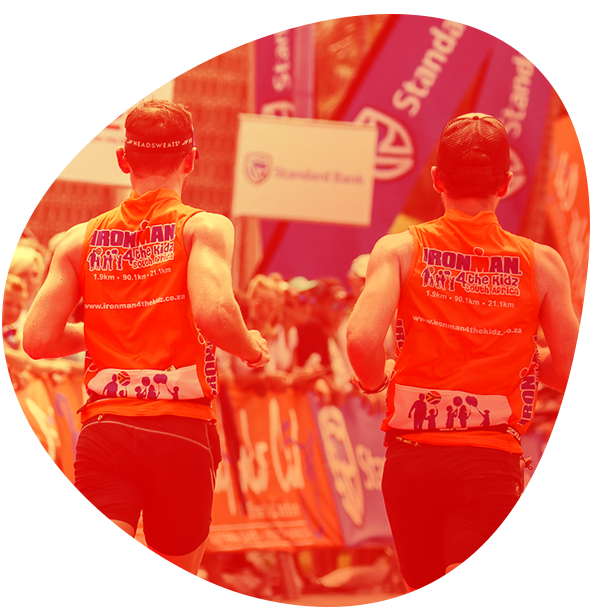 Successful athletes will be able to dedicate their participation in any of the IRONMAN SA events and join an annual team of charity ambassadors who support of IRONMAN 4 the Kidz - striving to make difference for those in need. ATHLETES can also Donate via On-line Registration. In all World Endurance Africa Holding events including Standard Bank IRONMAN African Championship, Standard Bank IRONMAN 70.3 Durban and Buffalo City, the 5150 African Triathlon Series, IRONKIDS South Africa and Corporate Triathlon Challenge, athletes are welcome to include a donation to the IRONMAN 4 the Kidz Charity Trust when they are completing their online registration to the various events. Please don't skip the page. No matter what your contribution is, it all adds up and takes the Trust closer to the yearly goal. Companies need not have an athlete participating at an IRONMAN event, the can however still support the charity initiative. 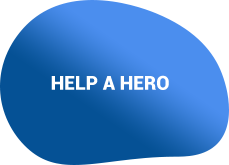 Companies can donate direct directly to the Charity and the Charity will secure an athlete to participate in their vest to ensure they receive exposure during the race while their contribution will go to the many charities "IRONMAN 4 the Kidz" supports. 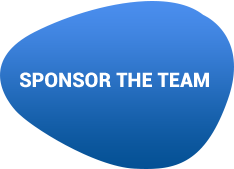 COMPANIES with an Athlete are requested to sponsor an athlete for either the full or partial costs of a charity slot, at any one of the IRONMAN SA events. Their athlete will wear the charity's signature "Neon Orange charity vest" which is provided & printed by the charity. The company’s logo is printed and visible on the front of a charity vest, highlighting the companies support for the charity initiative and offering great exposure for their brand during the event. 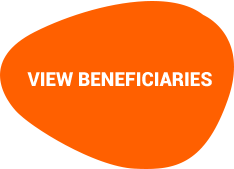 The support offered is tax deductible and a Section18A Tax Certificate with all supporting documents is available and can be provided for the support offered. COMPANIES not having an athlete in the event can still make a donation to the IRONMAN 4 the Kidz charity. They can show their support via EFT direct to the Trusts account, visit our donation page or by requesting an invoice for payment. There is no limit to the donation amount. 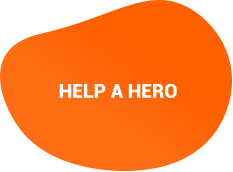 Should the donation amount cover the cost of a charity slot, the charity will secure a registered athlete to ensure your brand is visible on the day. This support is tax deductible and can be used to support your company’s BBB EE status as all beneficiaries the charities supports fall well within the requirements of the Socio- economic development category. Fill in the form below and one of our representatives will contact you regarding how to join TEAM ORANGE and start making a difference.